Every time I am in JP, one of the things that I really like is the gantry at train stations. This is brilliant because it makes moving pass gantries so much more efficient, especially during rush hour. Just imagine the amount of time saved with every opening and closing of the gantry made obsolete. In addition, the sensor for the cards are also much smoother compared to SG’s. Somehow, the response rate is faster; the moment your card touches the panel, a clear and quick beep sounds out and you just walk through. 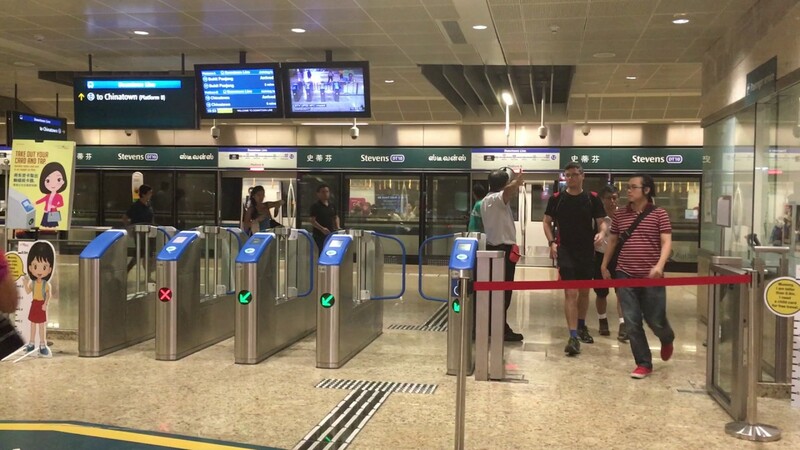 In SG, there is this lag that happens where I have to hold my card for perhaps half a second or so, before the green light appears and the gantry opens. If you touch the panel swiftly, you risk not having your card read and that causes a slight congestion. Not that it takes very long to tap again but even the transmission from red light to no light and being able to tap your card again takes 1 or 2 s, which is disturbing a long as it causes your foot steps to cease. So if you add on the slower tapping rate plus the opening and closing of gantry each time one commuter walk past, it is actually truly quite annoying because that leads to perhaps 1-2s of passing through the gantry per commuter, hence explain the queue that snakes at MRT gantries in SG. Though the train stations in JP are often packed, the gantry area is much smoother because as explained above, people just walk past, like how they walk through anywhere else, just perhaps except that they have to shuffle into the columns to go through. And because of the way the gantries are in SG, you get the annoying commuters who ‘over tap’ their cards as well. Those lingerers who just can’t bear to lift their cards away from the panel and take even longer to go through the gantries. *slaps forehead How annoying it is, when you have to do an E-brake to avoid kissing their hair. Again, blame the less-than-adequate-sensitiveness of the sensors. Despite taking the train everyday, I still find it hard to get the perfect duration to tap my card on some mornings. I think a loud beeping sound actually helps as well. I don’t remember if SG’s have a clear beeping sound but I know in JP, there is. Loud and clear as day every time I tap my card that almost screams “はい、どぞ！” to let me know that I can walk past. I am not sure if it is just me, but that is important to me because it gives commuters assurance and confidence that they can proceed to walk past. All these decision making process actually takes place constantly and very very quickly in our brain and that feeling of assurance actually adds on to the smooth passing through of gantries as well, because every hesitation, again, causes a pause, no matter how slight. When the traffic volume is so high, any slight pause adds up to a congestion in the end. I know the gantries at the new downtown lines are loud when I tap my card and the panel is more sensitive as well, but I still think they kinda lacklustre still, compared to JP’s. And because of those various minute details done right written above, the gantries in JP are something that I truly love and appreciate. And seriously, it also cuts away one particular incident that I absolutely hate. When the person in front of me tap his or her card but it fails and she starts walking through and I tap my card (everything happening too swiftly for me to not tap my card in time) and she walks past the gantry and I am stuck. Damn. Now, let me go drink my Kopi O Peng Kosong to curb the frustration that has crept in just imagining the situation above. Coming back to an empty home.